New Exclusive Funko Pop! Dorbz Toys Revealed! Funko.com has revealed two brand new exclusive Star Wars themed Funko Pop! Dorbz toys that will be attending Disney’s D23 Expo on July 14-16 in Anaheim (tip of the hat to Makingstarwars.net)! 1. 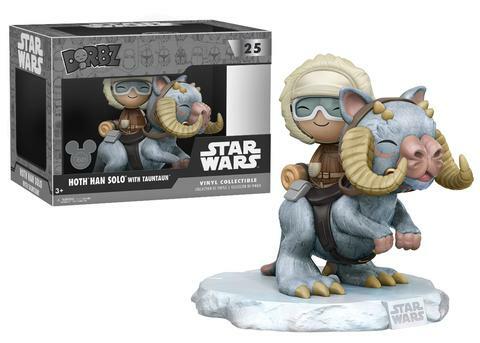 The Empire Strikes Back Hoth Han Solo with TaunTaun Dorbz Ride Toy. Inspired by The Empire Strikes Back. 2. A New Hope Cantina Dorbz Toy 3-pack.